Ever wonder what happens to your property taxes? Why does (or doesn't) the County fund certain programs? How much of the County's budget actually goes toward building and maintaining schools? 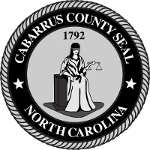 Become part of the budget conversation as the County's budget office breaks down the proposed FY19 general fund budget, during Government 101—FY19 Budget Breakdown, Friday, June 15, 9 a.m. –2:30 p.m., at the Cabarrus County Governmental Center (65 Church Street, Concord) Multipurpose Room, 2nd floor. Don't expect a lecture—we've designed this interactive day with panels, activities and demonstrations that guide you through the County's fiscal plan for the coming year. Expect to get answers your budget questions and the opportunity to provide valuable feedback on the County's actual proposed budget. Find your seat at the table, because this unprecedented event takes place BEFORE the Board of Commissioners votes on the budget. This is your chance—become informed, become engaged. For more information on Government 101—FY19 Budget Breakdown, visit www.cabarruscounty.us/onctw or call 704-920-2336.